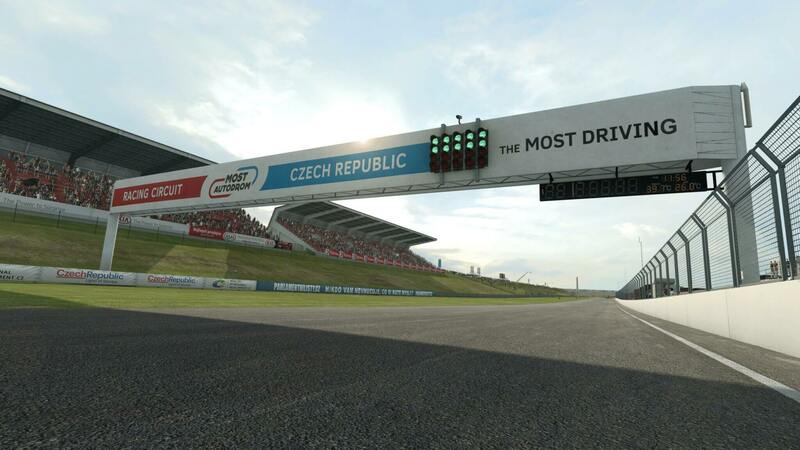 Discussion in 'RaceRoom Racing Experience' started by GTPNewsWire, Jan 24, 2019. This article was published by Michael Leary (@Terronium-12) on January 24th, 2019 in the RaceRoom category. nice but the game is becoming old , hurry gtr 3 ! Its a nice Autodrom, I was there last year on the ADAC, its like on the top of a hill/mountain, small but nice track, nice view from up there. But one of the best thinks was the czech beer and all that food the germans/czechs made there. Oh, race was also super cool. Spectators have a good view since everyone is in a higher level of the track. Just when I think there will be a reprieve from must get content in R3E, they go and announce this. Well... looks like the list of tracks I need to get just went up by 1. I'm beginning to wonder if Sector 3 has plans to update the game? There's a whole lot they'd be walking away from if they just move on to another title. Looks like my kind of track. Very nice. No pretty sure not abandoning it. Go listen to the sim perspectives podcast interview with them from a few months back. They seemed pretty committed to Raceroom. Talked about a DX11 upgrade which dunno if it's happened yet or not among other things. My guess is they won't switch to a completely new title but just continue to add new content while upgrading the underlying engine. Hence, some updates you will get for free but others will be paid. This studio is clever for adding tracks beyond the repetitive mainstream. SecretAgentZero and Dopplegagger like this. Yes they are planning to upgrade the game, but after GTR is released.. That's their main focus for now. GTR 3 is getting Unreal 4 engine and after that's all done, R3E will follow ! Dopplegagger, KRATOS8MS and BrainsBush like this. This article was published by Michael Leary (@Terronium-12) on January 29th, 2019 in the RaceRoom category. I'll need to verify when I get home but I don't think there's one italian sports car in Raceroom. I do hope they one day get the licensing sorted, or whatever is holding them back there. For now I'm most looking forward to the Audi. They also have Alfa Romeo in WTCR. Im moderately excited for this update. New track is awesome and updated driver names is always welcomed. Hopefully we can get rest of the cars for 2019 but I also know the Ferrari license is VERY expensive. This article was published by Michael Leary (@Terronium-12) on January 30th, 2019 in the RaceRoom category. Fixed an issue with "Rotate" pitstop order (ADAC rules preset) where left and right tyres wouldn't be swapped but instead replaced with fresh ones. Cool that we get the ADAC GT Masters grid, eventhough it's missing 8 cars. Of course it's due to licensing. But they also haven't added the missing Porsche for the previous ADAC GT Masters field, eventhough they now have Porsche licensing. 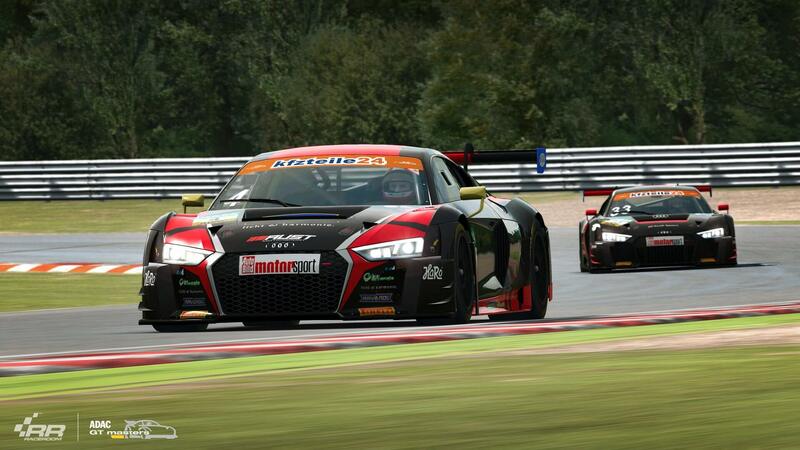 But apart from that I'm very excited for this update as Raceroom is by far my favourite Sim at the Moment. Especially with this amazing AI Selector. Just bought the new car pack and Most track. Very nice. Really like the Corvette and Porche. 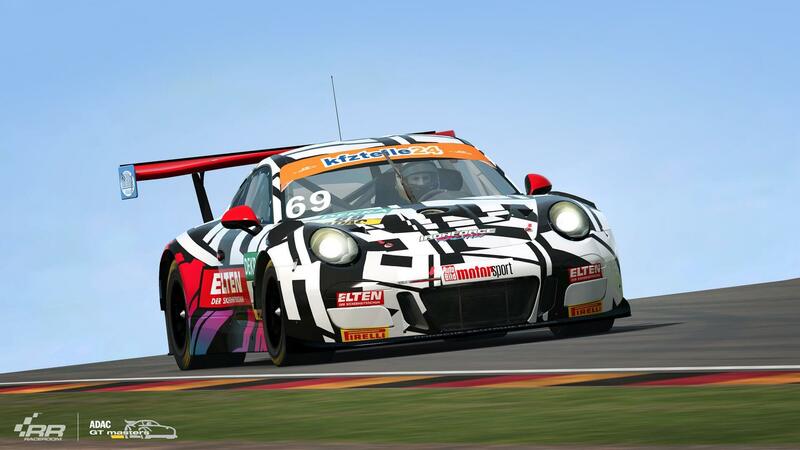 First GT3 car's Ive driven in RR. As for visuals, I don't know what people are complaining about as in 4k it looks pretty awesome for what I believe is still a DX9 game at present. The tracks and cars I needed to purchase everything totaled up to $302.61USD. Seeing that I was able everything R3E has for $45.00; I'll call it a win. Now I don't know what to do first.